Square Enix Is Making A Final Fantasy Game For PS4. You'll Probably See It At E3 This Year. 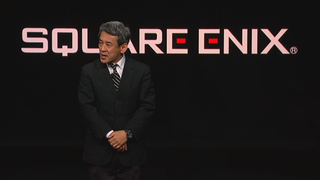 No real news yet, but Square Enix's Shinji Hashimoto took the stage at today's PS4 event to say they're working on a Final Fantasy game, and that we should "please be excited for E3 this year." That's it.